It’s Back-To-School time for millions of parents and kids across the U.S.! It’s a crazy time of the year for everyone involved. It gets even crazier when the kids are moving to a new school. My 11 year old, Natalie, will be doing just that! She’s going into 6th grade, which is Middle School in my town. It’s crazy!! She will have homeroom, lockers, and move from class to class. She’s even going to go to school with new kids since the two elementary schools merge into the one Middle School. It’s so crazy for Bill and I to think about this. One thing that’s really going to change is the schoolwork load. We are going to be so much deeper into it all…I think we are all going to need help! LOL. Well, folks, if you have a middle schooler, help is on the way!! 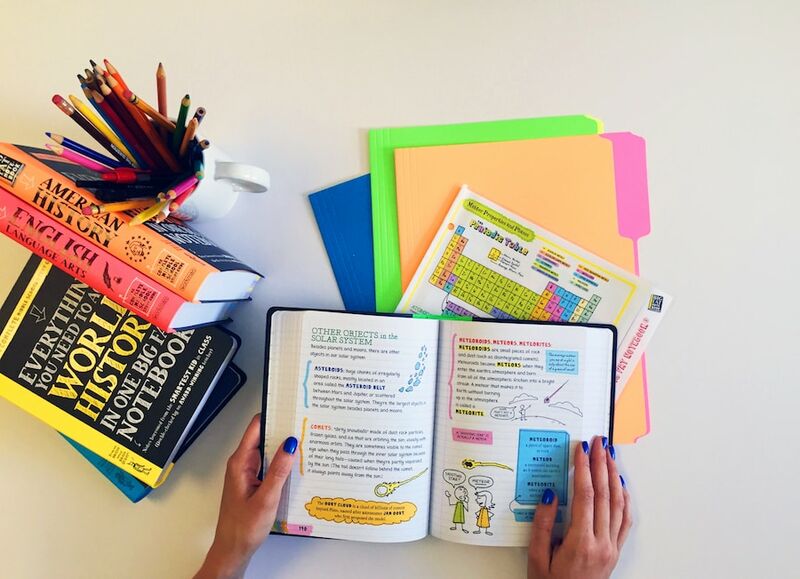 The BIG FAT NOTEBOOK series is built on a simple and irresistible conceit—borrowing the notes from the smartest kid in class. 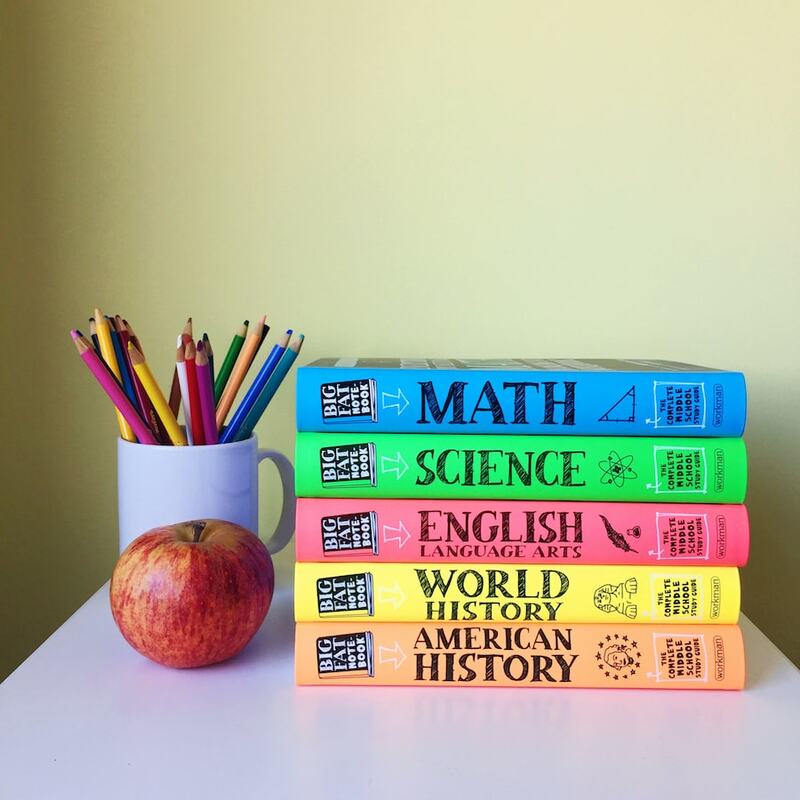 Inside each of the five books, the reader will find every subject’s key concepts, easily digested and summarized: Critical ideas highlighted in neon colors. Definitions explained. Doodles that illuminate tricky concepts in marker. Mnemonics for memorable shortcuts. And quizzes to recap it all. In other words…it’s awesomeness. I wish I had these growing up!! Everything You Need to Ace Math . 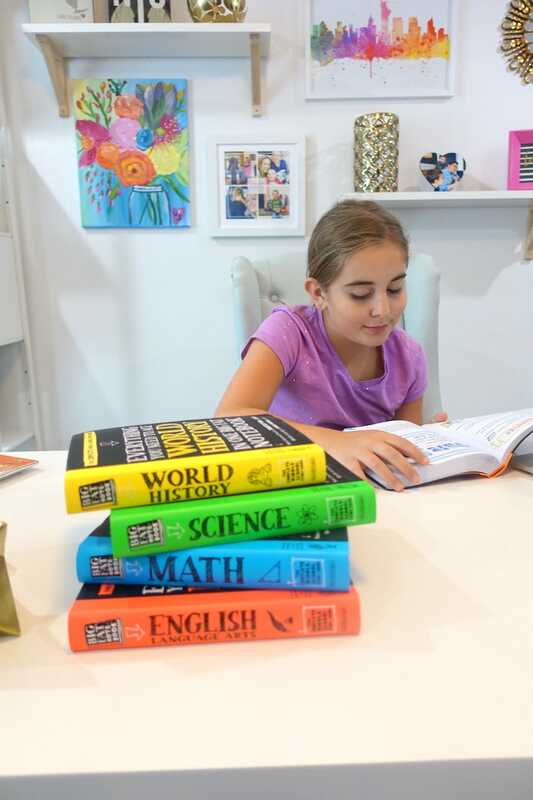 . . covers everything to get you over any math hump: fractions, decimals, and how to multiply and divide them; ratios, proportions, and percentages; geometry; statistics and probability; expressions and equations; and the coordinate plane and functions. Everything You Need to Ace World History . . . kicks off with the Paleolithic Era and transports the reader to ancient civilizations—in Egypt, Greece, India, China, Africa, Rome; the middle ages across the world; the Renaissance; the age of exploration and colonialization, revolution and imperialism, and the modern world and the wars and movements that shaped it. Everything You Need to Ace English Language Arts . 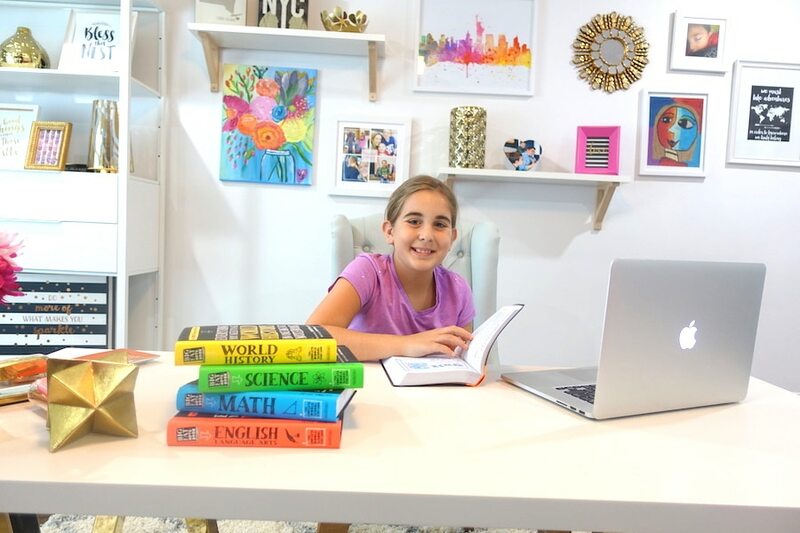 . . covers everything to get you your best marks: grammar, including parts of speech, active and passive verbs, Greek and Latin roots and affixes; nuances in word meanings; textual analysis, authorship, structure, and other skills for reading fiction and nonfiction; and writing arguments, informative texts, and narratives. Amazing, right? It’s really such a fabulous idea, Natalie and I love, love, love them. I think that these babies are going to help out a lot this year. We can’t wait!!! You can get in on the action and purchase #BigFatNotebooks at Amazon, Barnes & Noble, Indiebound, and at Workman. Branded school supplies including highlighter/pen combos, a notepad, and jigsaw sticky notes. Open to US addresses only; prizing provided by Workman Publishing. This blog post and all social shares are sponsored by Workman Publishing. My son is in middle school and my daughter is finishing up in elementary school, so we could put these awesome books to good use! This is really a great concept of understanding and learning things better. Getting extracts as well as the important notes on every subjects; studying is definitely getting better. Yes! My daughter is going into 6th grade. Thanks for the chance!